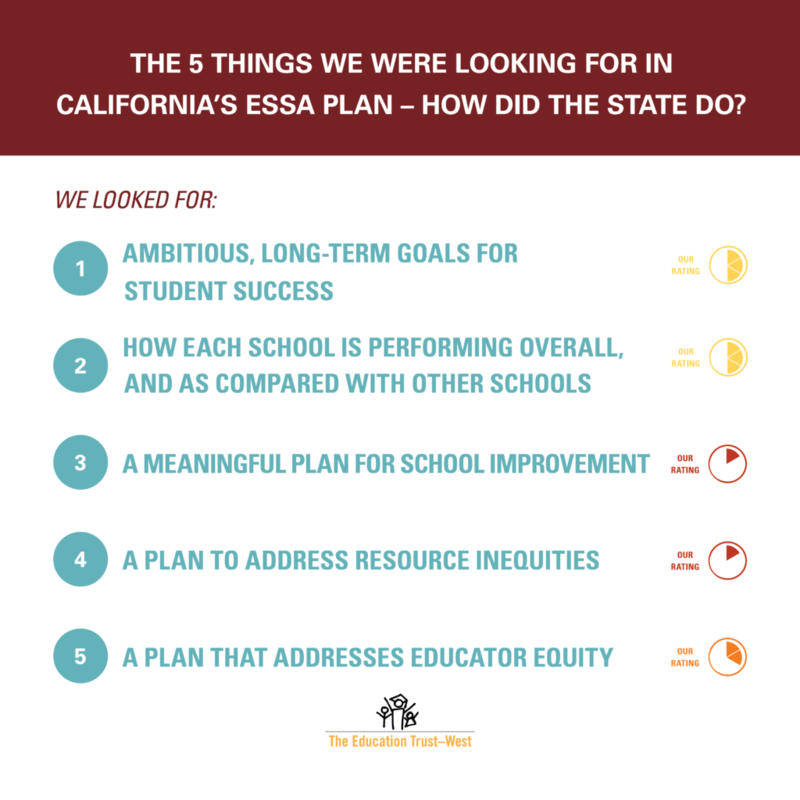 Equity Alert: The 5 Things We Were Looking for in California’s ESSA State Plan – How did the State do? Overall, we think the plan is thin on details, makes too few commitments, and falls short on equity. The good news is that state has the opportunity to make changes before it submits the plan to the U.S. Department of Education in September of 2017. In our new equity alert, we provide recommendations for the state on needed improvements on each of the 5 big things.